To Let is this really well presented 1 bedroom apartment with modern kitchen and bathroom and the added benefit of gated underground parking. Newly fitted flooring throughout. The property will be available February 2019. Please call now for further information. PROPERTY MISDESCRIPTIONS ACT 1991 For clarification, Davishme Agents wish to inform prospective purchasers, that we have not carried out a detailed survey, nor have we tested any of the appliances or heating system and cannot give any warranties as to their full working order. Purchasers are advised to obtain independent specialist reports if they have any doubts. All measurements are approximate and should not be relied upon for carpets or furnishings. 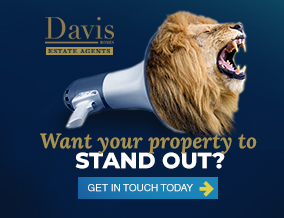 This property is marketed by Davis Homes, West Essex at £600 per month. Rightmove has calculated the price per week for comparison purposes only. Property reference 2248. The information displayed about this property comprises a property advertisement. Rightmove.co.uk makes no warranty as to the accuracy or completeness of the advertisement or any linked or associated information, and Rightmove has no control over the content. This property advertisement does not constitute property particulars. The information is provided and maintained by Davis Homes, West Essex .